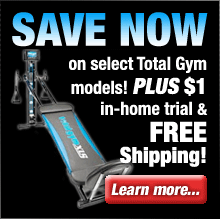 Free Shipping on All Treadmills and Ellipticals When You Purchase Direct From Smooth Fitness! The Smooth AGILE DMT X2 elliptical is a Dynamic Motion Trainer (DMT) that has a number of advanced features that make it a standout among adjustable motion ellipticals. The most unique feature of the AGILE DMT X2 elliptical is the fact that it’s built to keeps your toes in front of your knees while exercising. The reason for this functionality is that when you do this you get a more natural step-forward motion that eliminates knee pain. Patented pivoting foot pedals feature advanced ergonomics and shock absorbing technology that reduce joint stress and eliminate heel slap. Lite Touch thumb control with infrared sensor allows you to easily adjust the intensity and motion of your workout without taking your hands off the handlebars. Wireless heart rate control monitors your heart rate and continually adjusts the elliptical’s resistance settings in order to maximize the efficiency of your workout. Patented pivoting foot pedals that reduce joint stress and eliminate heel slap. Moving handlebars enable the AGILE DMT X2 elliptical to provide an excellent, full body workout. Magnetic brakes and resistance facilitate smooth changes and stops – vastly superior to non-magnetic braking systems. Convenient LCD display keeps you fully informed with important readings and elliptical settings. iPod docking station with high quality speakers to keep you entertained while working out. 15 workout programs designed to keep you challenged, maximize your workout, and ensure consistent progress. 16 intensity levels and 12 ranges of adjustable motions ensure a challenge every time you workout. Supports user weight of up to 350lbs. Easily movable from room to room with the built-in wheels. Built-in 3 speed fan to keep you cool during even the most strenuous workouts. Comprehensive Warranty: Lifetime warranty on frame and braking system, and 7 year warranty on parts. The AGILE DMT X2 also features Smooth Fitness’ Lite Touch thumb control which means that you don’t have to remove your hands from the handlebars to adjust the elliptical’s intensity and motion settings. In addition it also features a wireless heart rate control which monitors your heart rate and adjusts the elliptical’s settings so you get the most efficient workout possible. Other notable features of the AGILE DMT X2 include an adjustable stride length, ergonomically designed pivoting foot pedals, moving handlebars, and magnetic brakes and resistance. When you add it all up the AGILE DMT X2 elliptical from Smooth Fitness proves to be an excellent elliptical solution. 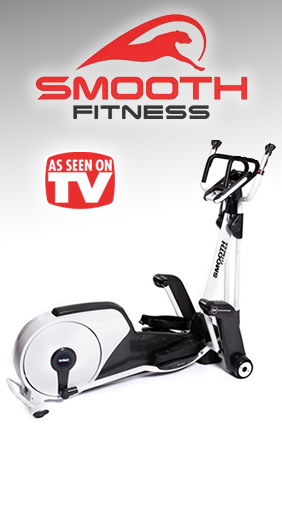 Smooth Fitness stands behind every elliptical that they manufacture and they completely guarantee your satisfaction. Simply purchase your machine (direct from Smooth Fitness) and put it through its paces for up to 60 days. If you’re not 100% satisfied with the results, simply contact their customer service department for a Return Merchandise Authorization number and return the machine (including any accessories) in its original condition and packaging to receive a full refund, less shipping & handling. Item must be received no later than 10 days after your return authorization is issued. 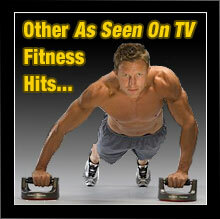 * The above guarantee is for purchases made through Smooth Fitness only. Be sure to check the current return policy of all retail partners presented on TVgyms.com for the most up-to-date information.